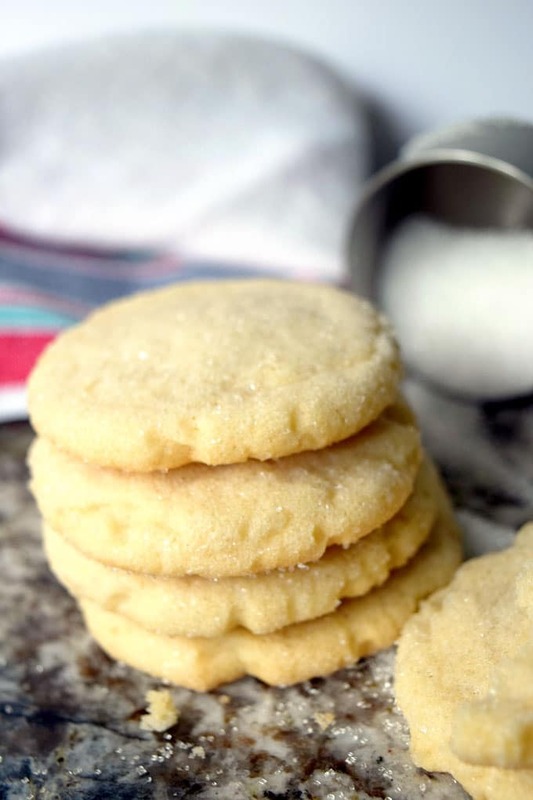 This vintage sugar cookie recipe from a woman born in 1877 has stood the test of time. Chewy, sturdy, and crunchy thanks to butter, shortening and a cup of sugar in the dough and a roll in sanding sugar before a bake in the oven. 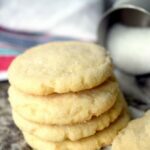 This vintage sugar cookie recipe from a woman who was born in 1877 has stood the test of time. Chewy, sturdy, and crunchy thanks to butter and shortening in the dough as well as a cup of sugar and a roll in sanding sugar before a bake in the oven. Keep in mind, before you call child services on me, that this is a young man who prefers vanilla over chocolate and really vanilla ice cream over any other dessert, with the exception of cheesecake. I think you’ll enjoy this cookie and I hope you’ll make it as is–using both butter and shortening in the dough. I think in the year 2018, some bakers are averse to using shortening but it really does have its place. Shortening helps cookies keep their shape, among other things. Be sure to cream the butter, shortening and sugar together for five minutes or until light and fluffy. When the mixture is fluffy enough, your spatula should glide through it easily. You can customize this cookie recipe very easily. Here are suggestions. This vintage sugar cookie recipe from 1877 has stood the test of time. Chewy, sturdy, and crunchy thanks to a cup of sugar in the dough and a roll in sanding sugar before a bake in the oven. Measure dry ingredients, flour, baking soda and baking powder into a medium bowl. In a large bowl or the bowl of a stand mixer, beat butter, shortening and sugar on medium high for five minutes or until light and fluffy. Be sure to pause briefly at least twice to scrape down the sides of the bowl and the bottom of the bowl with a spatula. Add vanilla extract and egg and beat for another minute until combined. Add dry ingredients and mix until just combined. The dough will be somewhat thick. No need to chill this dough. Using a cookie scoop, scoop one inch balls of dough and roll into the sanding sugar. Place balls of dough on a parchment-lined baking sheet. Once you have 12 balls of dough on the sheet, flatten each with the bottom of a glass. Bake at 350 for 12 minutes or until the bottoms of the cookies are golden tan. What have you been baking lately? 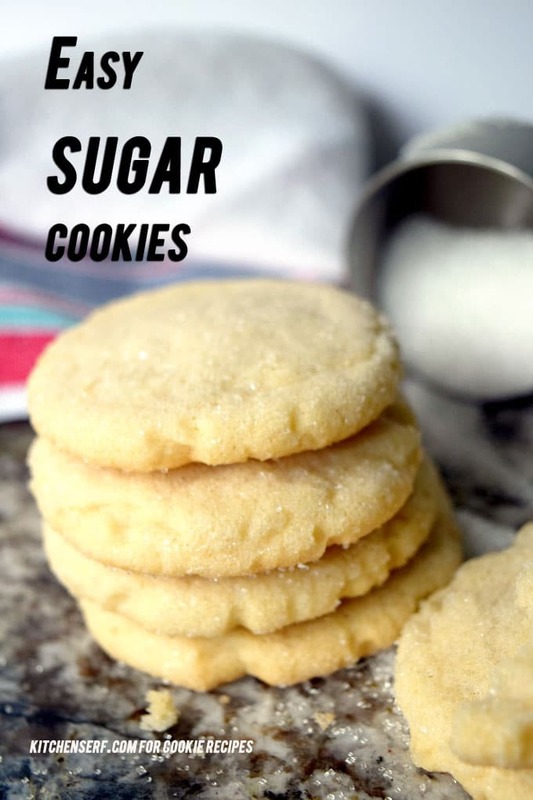 Do you have a favorite sugar cookie recipe?